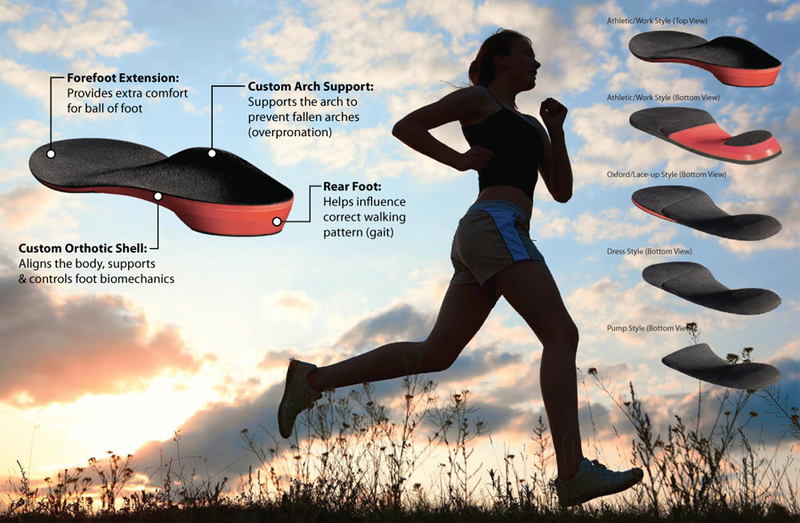 An orthotic is a custom-created insole that maximizes your foot and body mechanics while you stand, walk or run. Orthotics control your motion, distribute your weight properly and help with reactive ground pressure. We utilize 3DO foot scanning and analysis. With this technology, we can create precise 3D scans of your feet while you stand and walk. This thorough analysis allows us to determine exactly the correction your feet need. The data is then transmitted to the Digital Orthotics laboratory, where your product will be custom-created for you. This company was developed by a retired physician who had more than 35 years of experience in ergonomics and biomechanical imaging systems. There have been more than 15 years of research and development on their products. It is endorsed by VA hospitals, the U.S. Olympic Committee and other organizations known around the world. Get your body the support it needs. Contact our team today to schedule your digital foot scan.